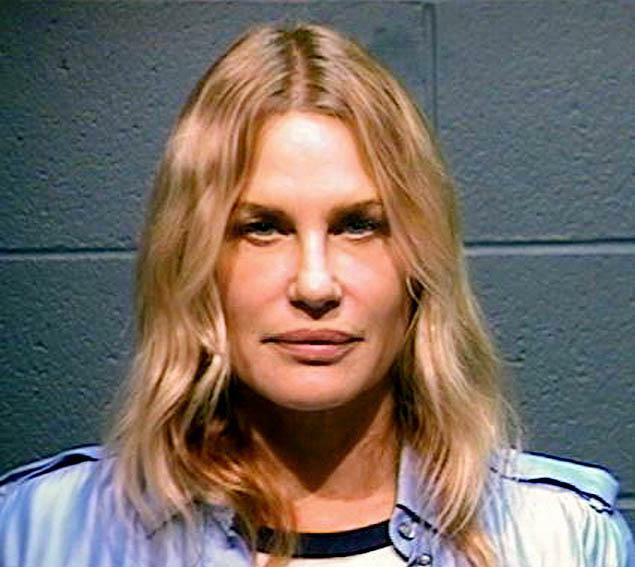 Daryl Hannah: Did she or didn’t she? Primary reasons why patients pursue aesthetic facial surgery are to look younger and more attractive; however, there is minimal literature about the effect of aesthetic facial surgery on perceived age and attractiveness. Now Zimm says that, but it’s not clear whether plastic surgeons, especially the kind who advertise in in-flight magazines or on bus benches in Beverly Hills, are interested in discovering whether their expensive Ginsuing “cures” aging and ugliness to the extent their customers hope. But even if they admitted to their clients there was little to be hopeful for, their waiting rooms would probably remain filled. It seems that the age where one is sliced and diced makes all the difference. In South Korea, for instance, it is nearly de rigueur for young ladies to have their eyes shifted, noses rebored, and milk production units given boosts. This phenomenon is so ubiquitous that even The Atlantic has heard about it: South Korean High Schoolers Get Plastic Surgery for Graduation (complete with eye raising pictures; no, literally: eye-raising pictures). The bodies of teens and twenty-somethings heal wonderfully from these traumas, so much so that it’s difficult to tell whether or not somebody’s had something done. Of course, it could be South Korean women’s consummate cultural facility with makeup which disguises the mistakes of surgery, but more plausible is that young people are easier to patch up. More proof comes from the story we’ve all heard. A Chinese man sued his wife for giving him an ugly baby. Turns out that, when young and before her marriage, the woman took a trip to South Korea to have an Earl Scheib facial. It worked, (before and after pictures here) at least in the sense of attracting a man who loved her for her looks. But her unmodified looks were passed on to her kid, greatly surprising her husband. Anyway, after a body reaches forty or so, the effects of face lifts linger, or thus it seems to the untrained eye, which is one trained to see ante-posterior pics of starlets and Congresspeoples. Who isn’t familiar with the permanently astonished, Nancy-Pelosi-like visage caused by one too many “procedures”? Or that some women, like young ones trying to squeeze into too-small jeans, ask the doc to stretch “just a bit more” and thus turn into cat-ladies? This happens to men, too, but fewer men; though lately more and more undergo the rigors of surgical vanity. Back to Zimm and friends. They collected about fifty before-and-after pictures of “patients” (a word which no longer means sick people) who willingly paid for “aesthetic facial surgery”. They sent these pics to about fifty folks and asked them to estimate the age of the “patients” and how attractive the “patients” were on a scale of 1 to 10. Makeup versus surgery, the eternal question. Turns out the civilians recruited as judges said the age reduction was anywhere from -4.0 to 9.4 years, meaning a goodly fraction (just under half) of patients appeared older because of the “work” they had done. The change in the attractiveness score bounced around in between -0.5 and 0.5, meaning even those who got better looking only did so a tiny bit, plus about half got uglier. Which is the bad news doctors hoped they wouldn’t discover. Bad for the docs because their art work was not judged to be sufficiently worthy, especially given the nomenclature of the procedure used, i.e. “rejuvenation.” Not as much juvenating power in the knifes and suction machines as touted. The folks undergoing the cutting and hacking were “42 to 73 years at the time of surgery, with a mean age of 57 years.” Not unexpectedly, about three-quarters were women. And since our on-the-street evidence that people past 40 emerging from beauty clinics sometimes appear to have been in a terrible accident, this comes as no surprise. [O]ur study may demonstrate that once an age is ascribed to someone others associate that age with a certain level of attractiveness. Specifically, younger people are generally gauged as being more attractive. I’m reminded of the Bee Gees song “I can’t have you, I don’t want no ugly babies”. Previous Previous post: Briggs Makes Der Spiegel: Violence “Linked”, Etc.